ColorCode 3-D is a new patented 3-D Stereo system. It is the only in the world to reproduce 3-dimensional images in a simple way with full color- and depth information on all display types. ColorCode 3-D is sometimes confused with Anaglyph because of the colored filters in the ColorCodeViewer, but both the filters and the encoding process are entirely different from the more than 150 years old Anaglyph system. The ColorCode 3-D system consists of two parts: The ColorCode CX Pro™ Encoding and the ColorCodeViewer™ 3-D glasses. This is a matched pair, developed to deliver the ultimate quality. Let your next 3-D project benefit from this cost effective and professional solution. 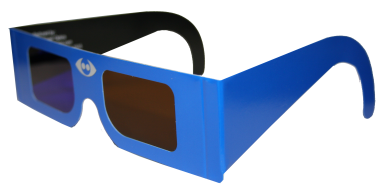 The ColorCodeViewer 3-D glasses are manufactured exclusively by American Paper Optics and are available in standard, stock printed frames or can be ordered in customized design and printing. ColorCode 3-D delivers the most powerful visual experience you can get and takes you to the leading edge of presentation with full attention from your audience. ColorCode 3-D, the ColorCode 3-D logo, ColorCode CX Pro and ColorCodeViewer are trademarks of ColorCode 3-D ApS, Denmark.